Glendalough is one of Ireland’s most prime tourist attractions. 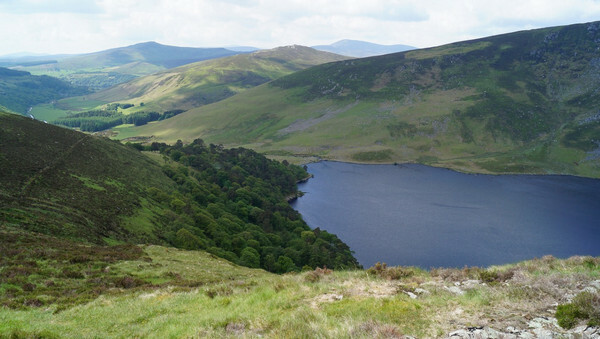 This absolutely scenic glacial valley is specifically located in County Wicklow. Literally called “the valley of two lakes”, Glendalough is tucked within the Wicklow Mountains National Park and covers a land area of more than 3 kilometers. It is widely known for its religious significance. But for those who are not religious, the valley remains a noteworthy place to visit because of its flawless natural beauty and tranquility. 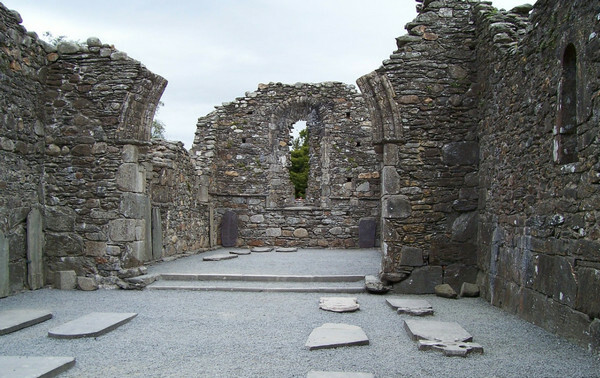 These qualities were the very reasons why monks and priests chose Glendalough as their prime spot for prayer and meditation. You will find a number of marvelous attractions within this gorgeous valley area. One of them is Monastic City, one of Ireland’s earliest medieval monastic settlements, which was established in the 6th century by a man now known as St. Kevin. Monastic City is a fascinating site which survived the destruction brought about by the British troops in the 14th century. The site holds a significant religious importance even today. The structures that you will find in Glendalough’s monastic site were mostly built in between the 10th and 12th centuries. 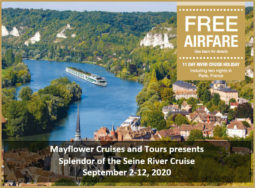 If you are especially intrigued about the visiting the Monastic City, you’re in luck, as entry to the site is free of charge. Some of the most notable monuments within Monastic City include the Cathedral, St. Kevin’s Cross, the Gateway, the Priest’s House and the Round Tower. The Cathedral is the biggest of all the churches found in the valley, while the Priest’s House exhibits the Romanesque architecture, and went under reconstruction in 1779 using its original stones. The Gateway, as the name suggests, serves as the entrance to the city and is known for its cross-inscribed stone. The Round Tower measures 30 meters high with an entrance of 3.5 meters. It dominates the skyline in the area. It used to have six wooden floors with ladders. The tower was not only a landmark for visitors, it also served many functions, which include being a store house, as a hiding place in case of attacks and a bell tower. Other notable buildings in the Monastic City are St. Kieran’s Church and St. Kevin’s Kitchen. Just next to Monastic City is the interactive Visitor Center, which offers more information and audio visual exhibitions that depict the original look of this ancient city. 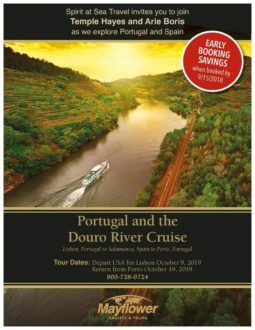 Aside from organizing tours around the religious site, the center also provides lectures about the Irish history and heritage for absolutely no cost during summer. It is also equipped with toilets, outdoor picnic tables, self-guided bicycle trails and vehicle parking space. Glendalough Valley had become a large mining spot in the late 18th century. At some point, thousands of miners were hired to look for precious metals like lead, silver and zinc. You can still the remnants of the valley’s glorious mining heritage when you visit the remains of the mining villages. 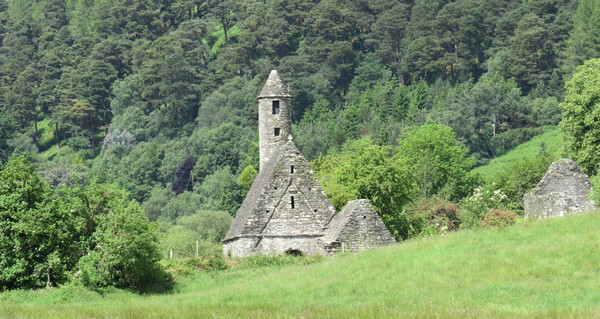 Aside from religious sites and open farms, Glendalough Valley is also surrounded by parks and colorful gardens. One very special one is the Sensory Garden, which aims to teach small children how to appreciate nature through human senses. Thus, the plants and other features of the garden were constructed in such a way that they appeal to the senses. It also attempts to let visitors learn more about making a garden that harmonizes with wild animals.